It wasn’t until I had a family of my own that I came to better realize the importance and sweetness found in family life. As I learned to put family relationships first (see this post) I have come to know more joy and gain more eternal understanding. I have found and felt the eternal depth of the sacred relationships within the family. These priceless relationships are the substance of eternity. They go beyond this mortal realm. They are more valuable than any worldly thing, possession, status or achievement. 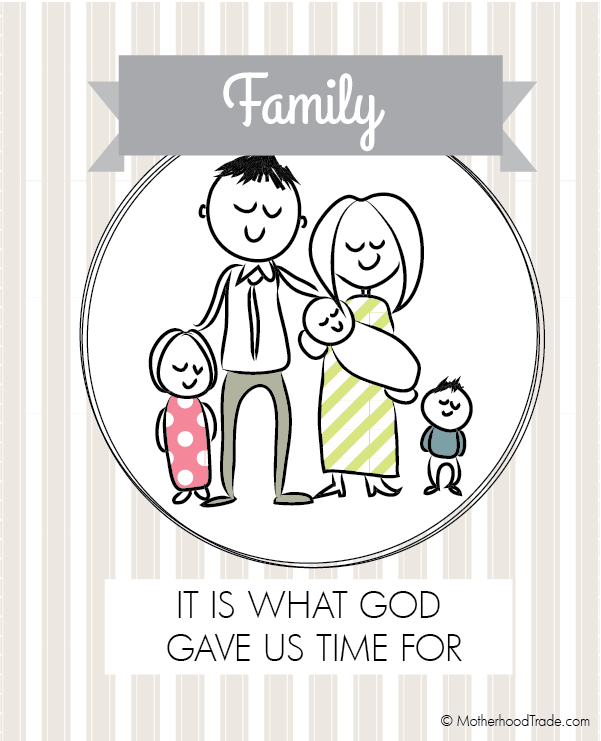 There is nothing that brings more joy, satisfaction, and mortal education as does a family. I’m preparing for the young women lesson titled, “Why is family so important?” Here is a basic lesson outline, worksheet and handout I created. Here is the same image but as a small handout (4 on a page). • Introduce lesson- Imagine a friend asking them, “Why are families so important in your church?” Go around and let each girl answer. 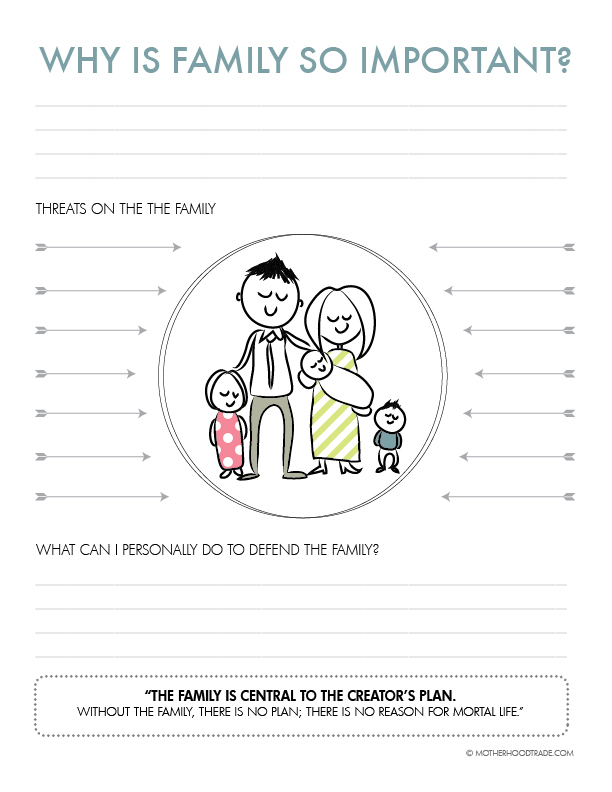 • Handout “Why is family so important” worksheet and let have an initial take on filling it out. • Have girls continue to fill out worksheet with additional info from Sister Beck’s talk. • Have them share and discuss any additional thoughts they have with the class. • If there is time, watch “Having faith in Children” video.